This great promise in Isaiah was fulfilled with the coming of Jesus (see Matthew 4:15-16; Luke 1:79). 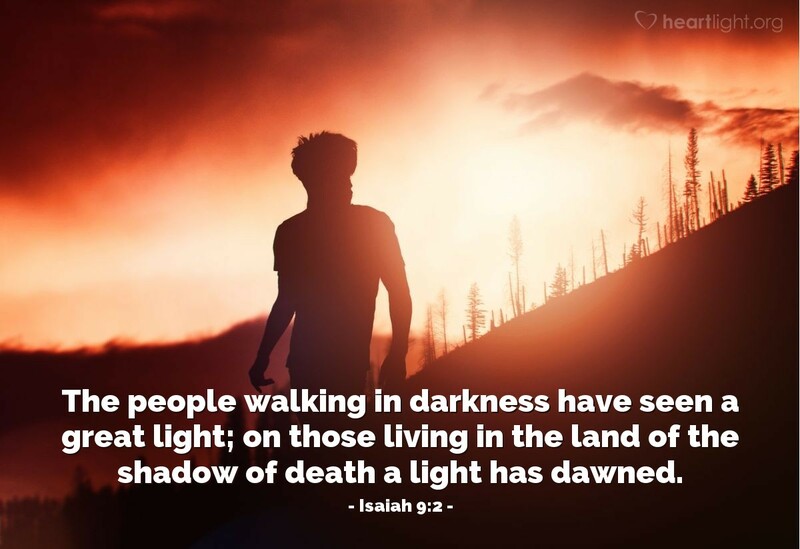 As darkness falls tonight, look out at a street light and capture it in your memory so that every time you see a light shining in the darkness it will remind you to do two things: give thanks to God for sending his light and commit yourself to sharing that light with those you know. Loving and Eternal God, thank you for shining your light into my life through Jesus. Help my words and actions bless those around me so that the light of your grace and the salvation that Jesus brings may be seen by all I influence today and each day of my life that follows. In Jesus' name I pray. Amen.